We are always striving to provide the very best car interior cleaning products, along with vinyl dressings conditioning products. Detail King’s automotive soaps & cleaners are all super concentrated, eco friendly and 100% biodegradable. Our car interior cleaners and interior dressings are all pleasantly scented which makes them extremely user friendly and provides a “fresh and clean” car interior for the end user. As you may already know, our detailing chemicals are vehicle component specific. That means they’re designed to work effectively on the interiors of all vehicles. Other detailing products that you may use are “general purpose chemicals” and not specifically formulated for today’s automobile interior fabrics, carpets and vinyl. Using the appropriate car carpet shampoo on an automobile’s interior is essential in eliminating spots and stains. Designed to eliminate odors as well as dirt and grime, our custom developed car carpet shampoo line is the best in the industry. Our automobile cleaning products will not leave a “film” on the components cleaned, which means the surface accepts the dressing better. 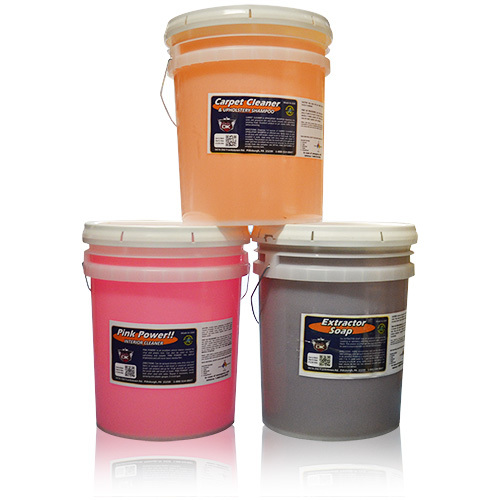 As an example, our Pink Power Interior cleaner, Extractor Soap, and Pearl Gloss Dressing are simply the finest auto-detailing products available for today’s automotive interior cleaning and preservation. Auto-detailing chemicals developed by Detail King include many new interior fragrances and odor-free scents. And, of course, all of our scents are available in quarts, gallons and new money-saving variety packs. 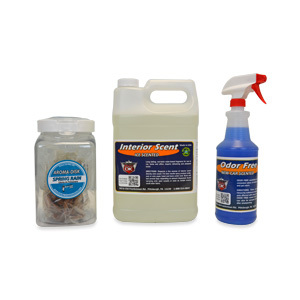 We offer more professional automotive interior scents than anyone! Give one of our variety kits a try and then you’ll see how your customers appreciate being given a choice. For those stains that cannot simply be removed, such as bleach or coffee stains, our carpet dye products are perfect for restoring the right color to your carpet. When a cleaner just isn’t enough, use a professional grade carpet dye to take care of the nastiest spills and stains. We carry dozens of colors of dyes so you can always find an exact match for your interior. 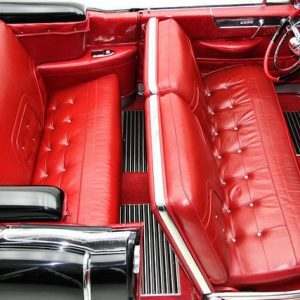 Abuse from the sun can wreak havoc on a leather interior, which is why we provide only the finest car leather cleaner products from Lexol and Vinylex, as well as our own Detail King car leather cleaner and conditioner. 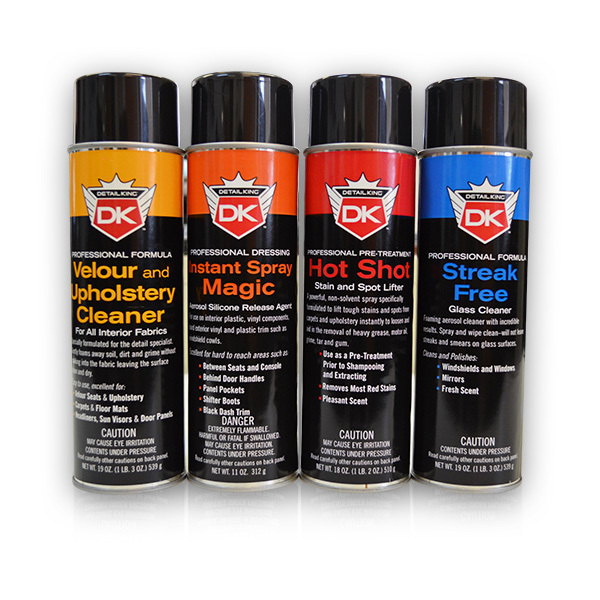 These products will bring your leather back to life and rejuvenating it, so your car leather can be as shiny as it was when it was driven off the lot. To learn more on leather care and proper product use, view the Detail King Auto Detailing Methods and Procedures Guide. Our interior detailing chemicals and car interior cleaning products are pH balanced and are formulated to work effectively with today’s car, truck and van interiors. Many of our interior detail cleaners have Optical Brighteners not only to quickly and easily break down the dirt, grease and grime on automobile carpets, upholstery and vinyl, but to actually brighten up the color fibers and vinyl surfaces. Our products will not leave a residue and will enable dressing products to “set-up” and easily absorb and dry to an even sheen. 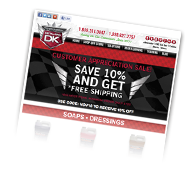 Our customers love our auto interior detailing products and so will you. There will be occasions that even after the carpets have been thoroughly cleaned they still need some special attention. 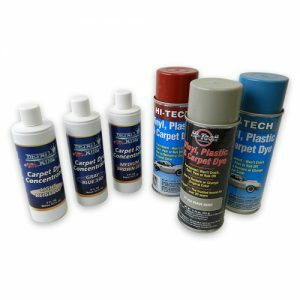 Our Automotive Carpet Dyes available in both liquid and aerosol applications are perfect to restore carpets and mats back to their original appearance. 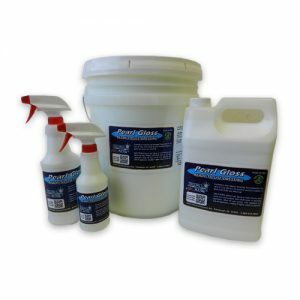 Be sure to check out our auto detailing products sample kit that includes our popular interior and exterior cleaners and dressings. 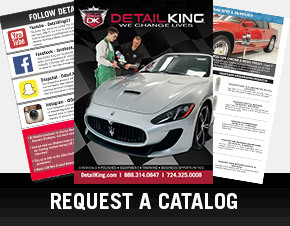 Also, be sure to sign up for our free Detail King newsletters, special offers, discounts and sales. If you are looking for professional car cleaning and detailing soaps, shampoos, and stain removers we have everything that you could possibly need. All of our car interior cleaning products are 100% biodegradable. Protect and beautify your car's interior - you can dilute our vinyl dressing and offer shine variations. Be sure to check out our Leather Magic one step cleaner and conditioner. Customers love a freshly cleaned and detailed car interior. Put the final touch on your detailing job by applying your customer's favorite fruity scent. Check out our great selection of Aroma Disks, Interior Scents, and Odor Free Scents! 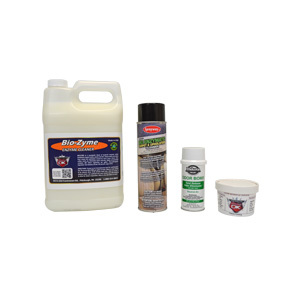 These products will bring long lasting freshness to any vehicles interior! 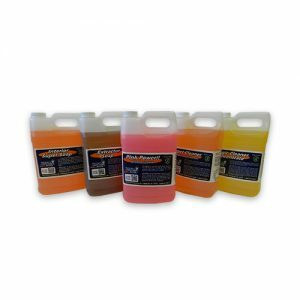 Our professional car interior cleaning soaps, carpet shampoos, stain removers and interior dressings are all 100% biodegradable, fruity scented and available in money saving 5 gallon pails.